Superdry men's Aviator Rookie parka jacket. 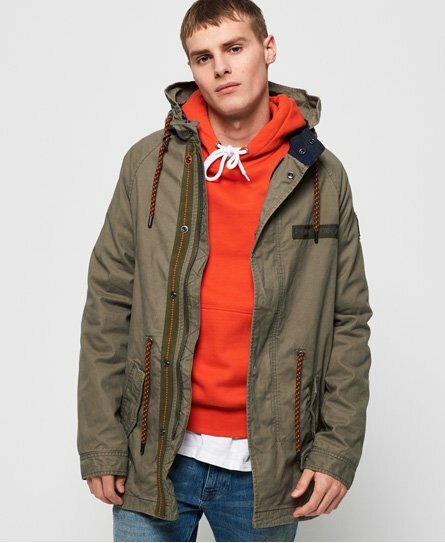 This classic parka jacket features a drawstring adjustable hood, zip and popper fastening and popper cuffs. An adjustable drawstring waist means you can create your perfect fit, while logo badges on the chest and sleeve add that finishing touch.